As Jayhawk fans cling to the potential end of an unprecedented run of Big 12 regular-season titles, there’s little doubt that Bill Self has his eyes on bigger issues. Kansas was blown off the court on Tuesday night, losing to Oklahoma State 86-67. One of the teams shot a sizzling 52% from three-point range, but it wasn’t the Jayhawks, who entered the day #2 in the nation in three-point percentage. 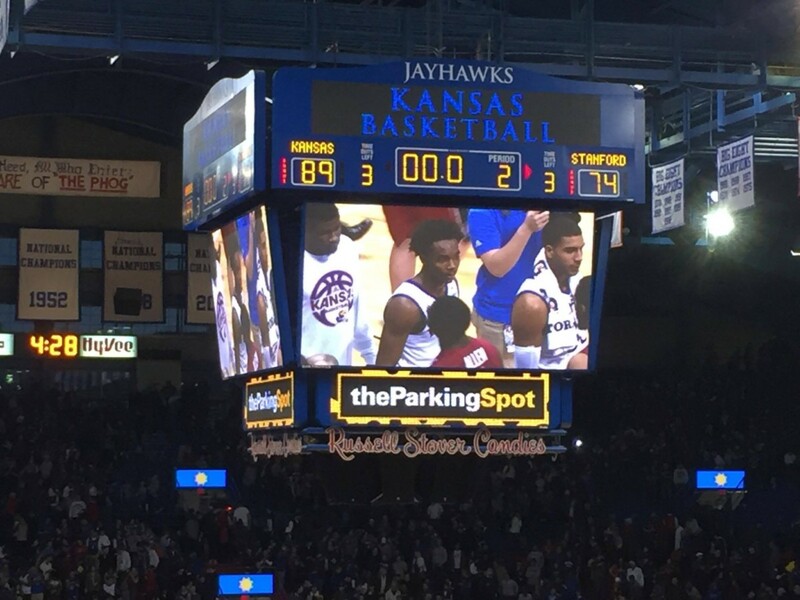 KU was out-rebounded, out-hustled, and out-performed by a team that possessed a 9-8 record. Here’s the thing, though. Is there really a ton to be worried about right now? Sure, the Jayhawks had a miserable night in Stillwater, losing on the road to the Cowboys for the third straight season. Fans are outraged, the coaching staff is disgusted, and the players are disappointed. Perry Ellis remarked that Kansas wasn’t “playing the way we can.” The senior stated that there’s “so much more that we can do, but we’re not doing it.” Clearly, the Jayhawks know exactly how good they can be. They’ve shown glimpses of it all season. Zero of those glimpses were shown on Tuesday night. A back-and-forth first half began with freshman Cheick Diallo drawing the start and making an immediate impact. By the first TV timeout, Diallo had already scored a basket, snagged two rebounds, and broken up an alley-oop lob pass. Oklahoma State struggled to make baskets at the rim, so it turned to three-pointers for a lift. Three straight three-pointers in succession at the end of the first half gave the Cowboys a 43-38 halftime lead. After a close couple of minutes to open the second half, things fell apart for Kansas. Devonte’ Graham hit a jumper to bring KU to within 50-47 with 16 minutes left, but over the next 14 minutes, the Cowboys ignited an eye-popping 33-11 run that turned a close contest into a blowout. What exactly doomed Kansas on Tuesday night? Several things. KU entered the contest shooting 75% from the free-throw line. Against the Cowboys? 13/24 for a horrendous 54%. KU entered the contest shooting 45% from behind the arc, good for second in the entire nation. Against Oklahoma State? 6/22 (27%). While the Jayhawks were shanking free throws and bricking three-pointers, the Cowboys were doing their damage at the stripe and from behind the arc. Oklahoma State shot 89% at the line and 52% from three-point range, both season highs, to halt any run Kansas tried to make. The Cowboys were 277th in the country in three-point percentage entering this game. Time after time, the Cowboys would bleed the shot clock down under 10 seconds and then either drain a three or get fouled to rack up two points at the line. It may sound strange for me to say that I think it’s just a throw-away game, but hear me out for a minute. I’m aware that Kansas has had more of these clunker-type losses recently. The Jayhawks lost for the 11th time in their last 21 Big 12 road games. They lost for the second time in their last three games, all of which have taken place in the last week. Their three-point percentage in their last two games? 26%. 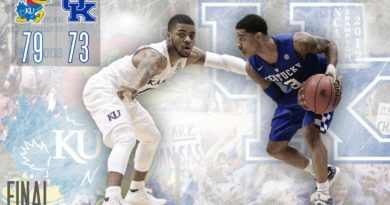 It was far from pretty, and there’s reason for concern about the health of Frank Mason, who has looked banged up and tired ever since the triple-overtime marathon vs. Oklahoma. Oklahoma State is not a good basketball team, at least as far as its record would indicate. However, the Big 12 is a gauntlet of a league. The league champion will likely lose at least four or five games. There are plenty of opportunities to make up for losses along the way, and the Jayhawks will get their first of these opportunities next Monday night at Iowa State. This team is very good at shooting three-pointers. They were off tonight. They’re a reliable free-throw shooting team that was flat-out awful against the Cowboys. Despite the 86 points allowed (the most given up by KU all year), the on-ball defense was actually not horrible; Oklahoma State drained tough shots and made the most of the opportunities it had. Simply put, they played very well. Even the worst teams in this conference are going to get a couple of the top dogs at some point this season. This team will go as far as Frank Mason takes them, and he certainly hasn’t looked right since the Oklahoma game. Unless he’s hiding an injury, which his coach insists he’s not, he will break out of his stretch sooner rather than later. When he does, Kansas is going to go right back to being one of the most dominant teams in the country. I certainly think that the Jayhawks will get the ship rightened. They are a very, very good team, and after all, it is only January. There’s still lots of basketball to be played, and Kansas has the personnel to fire off a long winning streak. 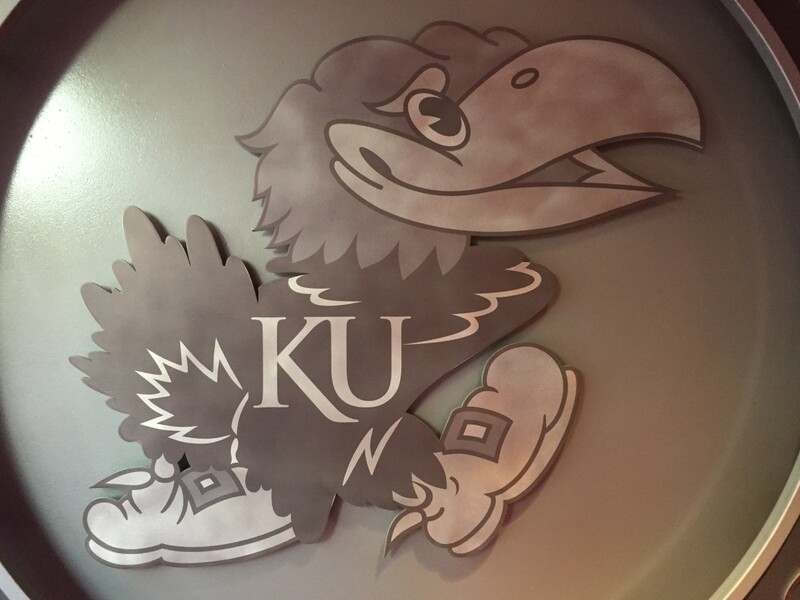 Eventually, it will get right, and KU will be very good. But until the Jayhawks lose in Allen Fieldhouse, or at least until we get to February, let’s hold off on the talk about “the streak” being over. Frank Mason: team-high 14 points (4/12 FG), five rebounds, and zero assists for the first time since March 7, 2014. He played 34 minutes. He is banged up, exhausted, and in clear need of rest, and KU’s funk will likely end when Mason’s personal funk does. Perry Ellis: 13 points (3/10 FG), and just 7/12 from the free-throw line in 33 minutes. He struggled against a team that many people expected him to dominate. He also was held without a field goal over the game’s final 33 minutes. Devonte’ Graham: 10 points (4/9 FG), five assists, and three rebounds in 35 minutes. He was probably KU’s best all-around player for this game. Wayne Selden: seven points (3/8 FG) in 29 minutes. He’s been invisible since the Oklahoma game, and it’s certainly not a coincidence that the Jayhawks have struggled since he hit a wall. Cheick Diallo: four points and two rebounds in 13 minutes. His biggest problem was how he messed up a couple of Self’s most basic defensive plays by not knowing where he was supposed to be. This led to Cowboy baskets and his ultimate benching. Carlton Bragg: eight points (4/4 FG), four rebounds in 11 minutes. He’s coming. Svi Mykhailiuk: three points (1/7 FG) in 16 minutes. He is an absolute disaster at this point in the season and is really struggling to find any sort of offensive consistency. Landen Lucas: five points and five rebounds in 13 minutes, but he was pushed around on the glass all night. Jamari Traylor and Hunter Mickelson combined to score zero points and grab two boards in eight total minutes. LaGerald Vick hit a garbage-time three-pointer. Oklahoma State was led by its fantastic freshman point guard Jawun Evans, who scored 22 points and dropped eight assists. He was splendid all game. FG: KU 42%, OSU 50%. Rebounds: OSU 38, KU 31. Up next for Kansas: vs. Texas at home on Saturday.